Yes, but she did have a lover, or better said admirer - whom she loved too. Aleast I recall you told something like that,correct? She was in love to one Belgrade student, Popovich, there is legend, he hurt his hands while was picking up red roses, which she adored. She wrote a never printed story -- 'Must it be happen'? describing her first wedding and love to Popovich, her parents' influence too. Queen Nathalie noticed her talent, read her stories, and invited her to be her honoured lady-in waiting in 1891, to Biarritz. She took her younger sister Voika too, leaving ill mother Anda with older sister Christine, two bothers and younger sister Gina. She wrote them often, sent money for ill mother and for her siblings. She learned French and German perfectly. But, in 1895, young King Alexander came to visit mother, and saw...Draga, who saved his life from waves. she lived on upper floor of Villa 'Saschino' and spent days with Nathalie, she edited one small lake near Palace, often with book in arms. Christine told to Draga it is better to have no romance with young King, and Nathalie allowed their relationship, she though he should to learn more about women, and he succumbed to her eyes. In November of 1897, Draga came to Belgrade, she 'fought' with Queen Nathalie. King bought to her one house near Palace, where she lived with sisters and brothers. King visited her regularly, she contined to do literally work, and became subject of rude takings in Belgrade. I think her jewels were made in Brussels, I am not sure. Thank you very much for photo of Svetozar Masin. I found information, that Draga buried him in Karaul in Petrovac na Mlavi. Do you know why he was buried here? For me is very difficult to read text in internet in Serbian. I am trying to find how first name of father (doctor) of Svetozar Masin was. Is somebody, please, who can help me? According to Voika's (Draga's sister) memories, he died from heart illness, another source says it was epilepsy, third one he killed himself, fourth one Draga killed him. He indeed worked as engineer in Petrovac na Mlavi, Draga lived there too. Yes, that is right, I've read it also where he was buried. Draga's father's and her house is now embassy of Belgium in Belgrade. The engineer Svetozar Mašin, the first husband of Draga Mašin, took part in this work. 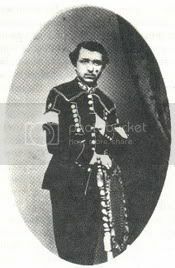 After the death of her husband, buried with the cemetery of Karaul, Draga Mašin remarried with the prince Alexandre 1st Obrenović. Draga lived in Petrovac, where, according to the chronicle, she liked to walk to bicycle. Yes, Draga sensed what might be happen with her, she had dream when her mother said to her to not marry with young King, because it will be bring unhappiness. It happened in July of 1900. There are rumors she had affair with King Milan, and there is source King visited her father, and had dance with beautiful widow, Draga. 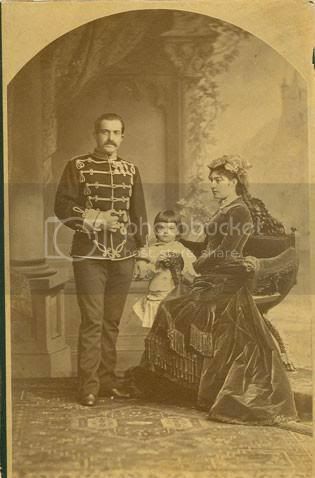 Milan abdicated in 1889, and divorced to Queen Nathalie Keshko, leaving son alone. To French people , she was 'femme fatale'. I am fascinated how Draga could be translator, widow, worked on magazines,wrote sories for magazines, spoke French, German, russian, knew Alexander III and family, was member of Serbian newspaper society, and she became Queen. Well done! Her last words, but not sure if it is truth, 'Army, they killed your King' while she tried to reach the balcony window, in her hidden boudoir. She survived first 10 bullets hits, terrib, from what I have read. It is not sure was she barren or not. Many people agree she was. Juliette Benzoni did a book about Queen Draga and Cleopatra, two tragic Queens. Chedomile Mijatovichs book includes The last interview with Queen Draga. My sincere apologies if I caused some bad feelings with photo. Again, thanks for lines from interview. Will read bio on her, in fact am reading. Interview is in there too. Thanks so much for all of the responses. I find this very interesting because I am married into a family of Draga's - and I find striking similarities between King Alexander and my Husbands and his brothers and father. They would be direct discendents if this was the case - however, I have read that she never gave birth. I wanted to know of the possible correlation between Queen Draga and this family located in the U.S. Thank you for any direction you can give me! Really? Can you please, explain better you relationship with Queen? Maybe your husband have relationship with her sister' decadents? Or even from Alexander's side? Yes, she never gave birth - she was barren, but, Queen Nathalie, her mother - in law, said once, that Draga had several operations, people converted story she had several abortions in first merriedge with Mashin. (I doubt she was 16 - 18 years old). Also, Draga said three times that she is pregnant, but every time, she got misbirths. So, in spring if 1901, she should gave birth a child, but nothing. It caused exasperation at people. Also, she wanted to supplant children with her godfather's wife, but all three times she gave birth daughter(her godfather's wife). Fate? Yes the family is trying to verify that. That is why I'm doing research into her. The family has been to Serbia to research this for more information. We know when their great-great-great grandfather Draga made it to America alive there were only two boys. And the dates coincide with the information spoken about on this topic. When family members have went over to Serbia they could not find any living relatives. We only know of this family of Dragas in America. Thank you again for any information you may have that will help us in finding our roots. Well, moment -- Draga had three sisters, but only one , Christine, had children, I think two sons (maybe them you mean) and one daughter, maybe you are related with them, and maybe her father's side. But there are too many Dragas in Serbia. You mean, grandmother, Draga? But she had not children. Or I am not correct. More information would be very helpful. Maybe you are related to her godfather? Or maybe Queen indeed sent someone to USA, a soldier..? She was Serbian Queen, and I can't recall her link to America, only to French, England, Austria - Hungary, Germany and Russia (in political view). She wanted to go Germany, and to divorce to King, but it was too late. In summer of 1903 Queen wanted to go in Germany. I'm lost here. Draga was the Queen's first name, her surname before mariage was Lunjevica. How would that relate to your husband's family surname of Draga?